Royal Ace casino is owned by Emoney Processing LTD Casinos. They came online in 2009 and are licensed in the jurisdiction of Costa Rica. The casino is powered exclusively by Realtime Gaming software, featuring casino games which are native to this provider. Players at Royal Ace casino can enjoy a big number of video slot games, many of which come with jackpot prizes attached. In addition to video slots you can also try your luck on the many table games the casino has to offer, as well as Keno, Bingo, Video Poker and Scratch Cards. When you create your account at the casino you can only choose to play in USD. When it comes to making deposits Royal Ace has a modest offer of payment methods which are: American Express, Bank Wire Transfer, Master Card, Neteller, Person to Person, Visa and Skrill. For making withdrawals at the casino you can use ACH, Bank Wire Transfer, Cheque and Neteller. The maximum you can withdraw in one week is limited to $2,500. The casino is known to have long payout timeframes. When you make a withdrawal your funds will remain pending on your account for 7-10 business days. If you choose to withdraw your winnings via Neteller they will be processed within 10 to 14 business days. For other payment methods the payout timeframe can go from 28 to 42 business days. So if you decide to play at Royal Ace make sure you’re prepared for the long payout timeframe. 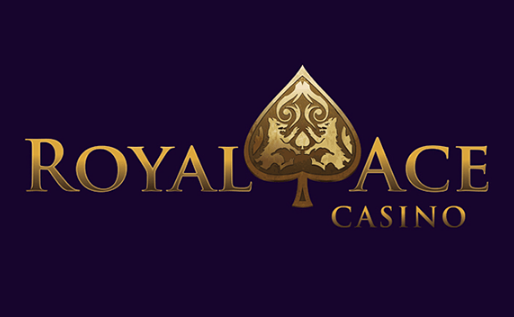 All new players at Royal Ace can claim a great 100% match deposit bonus. There is no maximum bonus limit on this promotion. This means that whatever amount you decide to deposit the casino will match it with bonus money of their own. They also have a Slot Battle of the Ages where you get to vote for a new or old slot. In return you will get a 250% bonus with no limit and extra 30 free spins. When you become a regular player at the casino you can expect to receive many more hefty bonus promos. Players can access the casino is instant play, download mode and via their mobile devices. If you have any questions about the casino you can easily contact their support team which is online 24/7. 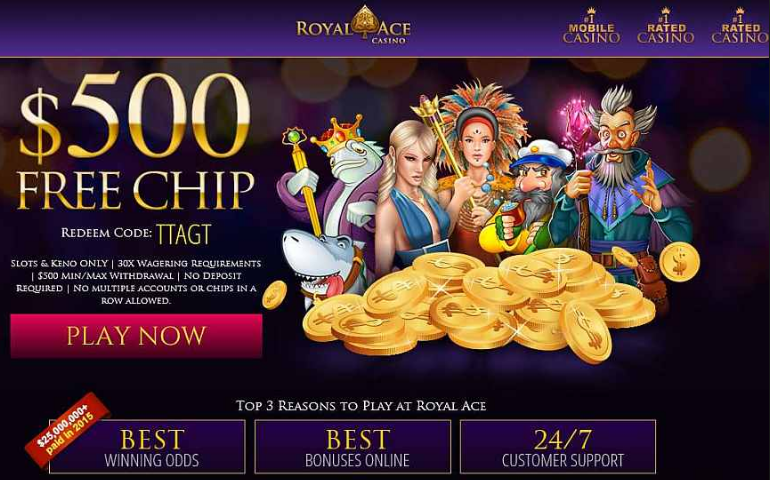 Other than the long withdrawal timeframe Royal Ace is a great RTG casino which will always keep you busy with their generous bonus promotions.